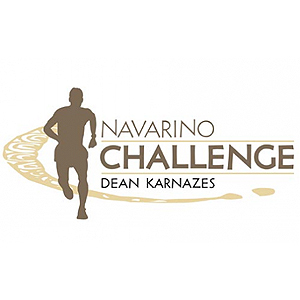 Welcome to the "Navarino Challenge", offering the opportunity to runners to enjoy a magnificent route in a charismatic place that is bounded on the east by Mount Taygetus, on the north by the river Neda and the Arcadian Mountains, satisfying all tastes and wishes. Because it is the best way to combine running, swimming or SUP in an amzing route and exploring one of the most interesting, exciting and historic location. Touring around Messenia is like traveling back to the most important phases of Greek history: Homeric cities, Mycenaean tombs, classical temples, ancient theatres, Byzantine churches, Medieval castles, are only few of the landmarks in this magical trip. Messinia offers a wide range of landscape, as visitors can cross its watery ways, enjoy the sea breeze and rest under the shadow of its mythical mountains. The Costa Navarino resort on its own is a worldwide famous travel destination. We offer several options varying from short weekend breaks in Messinia including your entry to the race, to a full vacation plan in Messinia and the surrounding area! Moreover, we can offer you training plans, actual training in the streets and routes of Messinia and of course we will run with you! Registration is open until 05 of October 2017. Participation can be obtained via online registration. Half Marathon Route (21.1 km) This year, just like the previous ones, the routes of Navarino Challenge are renewed and more "challenging" than ever! The route of the Half Marathon starts inside the facilities of Costa Navarino at the bicycle rental area (Navarino Outdoors) and is directed towards the south exit of the complex following the asphalt road slightly uphill for about 500 meters. After exiting the complex, the route turns sharply right into a dirt road towards the beach and downhill. After a distance of running by the sea, it diverges from the beach and follows an uphill track up to 2.5km. It continues on asphalt with slight downhill for 200 meters while the next kilometer (from 3.2km. up to 4.2km.) is the most uphill track of the route. The next kilometer is downhill till the wildlife shelter of Lake Divariou where following the dirt road, we end up at Voidokilia beach where the most beautiful but also demanding part of the route begins. At this point the route goes around the beach by the sea on the golden sand for 650 m. At the end of the beach it moves left towards the dunes to be driven on a narrow dirt road for about one kilometer around Lake Divariou. Then it diverges from the lake, following a wide dirt road till the pumping station where meets the lake again, to continue moving around within the wetland from the 9th km. up to 13th km. where again meets Voidokilia beach. Having now entered the way back, we move to the mainland on a dirt road in rural area until Petrohori located at the 17th km. Then a short but fairly steep uphill road follows until we enter the last 4km. which are the same as in the beginning of the route with the respective small uphill and downhill till the finishing line in Costa Navarino! The route of 10 km. 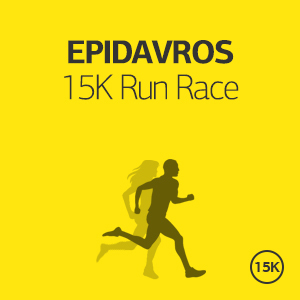 is also renewed, by giving participants the opportunity this year to run in the unique beauty of Voidokilia beach. The 10km. route again this year has small differences in height and consists of approximately 50% dirt road and 50% of asphalt road. The 10km route starts inside the facilities of Costa Navarino at the bicycle rental area (Navarino Outdoors) and is directed towards the south exit of the complex following the asphalt road slightly uphill for about 500 meters. After exiting the complex, the route turns sharply right into a dirt road towards the beach and downhill. After a distance of running by the sea, it diverges from the beach and follows an uphill track up to 2.1km. (Power Station) where it turns right into a narrow path for 100 meters. A steep dirt road follows up to 3rd km. which is the most "difficult" part of the route. From the 3rd km. up to the 4th km. the road is downhill and asphalt. From the 4th km. until the 6th km. is the most beautiful part of the route as it is located in Voidokilia region. The ground is dirt road and runs parallel to the wildlife shelter of Lake Divariou which ends at Voidokilia beach. At this point the route follows the golden sand by the sea for about 300 meters and the road back begins. The first part of the way back is a dirt road without any particular inclination and then it diverges from the lake and follows an uphill part from the 6th km. until the 7th km. which is the most "difficult" part of the return. Afterwards the corresponding downhill follows from the 7th km. up to the 9th km. Then we have the last slight uphill part of the route and we reach the finishing line. Route ground: 50% asphalt road, 47% dirt road, 3% sand. Power stations: 2.1km., 4km., 6km., 7,9km. The shortest route of the event is 5km., which is quite easy and "friendly" with small height differences and moves about 90% on dirt road and 10% on asphalt road. The 5km route starts inside the facilities of Costa Navarino at the bicycle rental area (Navarino Outdoors). It starts slightly uphill and is directed towards the south exit of the complex following the asphalt road slightly uphill for about 500 meters. After exiting the complex, the route turns sharply right into a dirt road towards the beach and downhill. After a distance of running by the sea, it diverges from the beach and follows an uphill track passing by the Power Station (at 2.1km.) until the turning point at the half of the route (2.5km) which is the most "difficult" part. On the contrary, the way back starts with downhill dirt road up to 3.8km. where an uphill part starts for 700 meters. The last 500 meters of the route are slightly downhill. Start - stop elevation: 6m. Reversal point Elevation: 22 m.
Maximum altitude: 22 m. Minimum elevation: 1m. Route Ground: 90% dirt road, 10% asphalt road. Power stations: 2.1km. Along the Half Marathon, the 15km and 5Km route as well as at the finish line there will be Aid stations to support the runners. 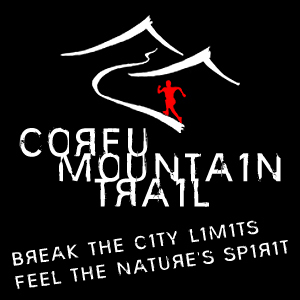 The Mutliple Activities offer is addressed to those who wish to come and stay in Navarino on their own and they are going only to participate in RUNNING AND SWIMMING. 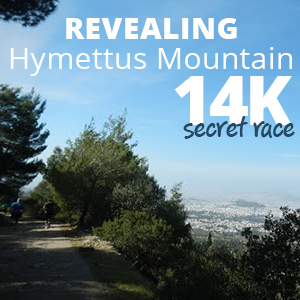 This offer is ideal for those who want to experience Navarino Challenge, and get the most out of their participation. We have selected the ideal locations for you, and we will suggest you the ideal vacation plan. If you wish to stay longer, you may add as many nights as you want for an additional €150 per night per person. If you wish to stay longer, you may add as many nights as you want for an additional € 40 per night per person. This offer is ideal for those who want to experience Navarino Challenge, and get the most out of their participation. We have selected the ideal locations for you, and we will suggest you the ideal vacation plan to make the most out of your visit in Messenia. Please tell us all your requirements and preferences, how many days you want to spend in Navarino, what other places you wish to visit and we will come back with a tailor-made offer specific for you! We can add trainings, running tours, car/bike rental, excursions, family activities and many more. In any case our offer will include the hotel arrangements, transportation to and from your hotel, participation to the race and all the logistics of the race entry, transportation to and from the starting line, tips and advice for the specific race, training schedule depending on your personal targets, safe keeping of your belonging during the race and suggested vacation plan for all the days that you will be in Navarino. We can add trainings, running tours, car/bike rental, excursions, family activities and many more. In any case our offer will include the hotel arrangements, transportation to and from your hotel, participation to the race and all the logistics of the race entry, transportation to and from the starting line, tips and advice for the specific race, training schedule depending on your personal targets, safe keeping of your belonging during the race and suggested vacation plan for all the days that you will be in Navarino. Messenia is a prefecture in the Peloponnese, a region of Greece. Messenia is bounded on the east by Mount Taygetus, on the north by the river Neda and the Arcadian Mountains, and on the west and south by the Mediterranean Sea, more specifically on the west by the Ionian Sea, and on the south by the Gulf of Messenia. Messinia is being habited for thousand years, with a great history as a background. Witnesses of its long history are the countless classical, byzantine and newer monuments in the prefecture. Monuments and cultural inheritance of Messinia, in combination with the beautiful landscape that surrounds them, give a magic power to Messinia,that captures even the most demanding visitor. Ancient Messene is a significant ancient city in terms of its size, form, and state of preservation, and still has much to offer. It possesses not only sanctuaries and public buildings, but also imposing fortifications, and houses and tombs. Αmidst the peaks of Mt. Tetrazio, at the northern end of Messinia, Neda, the only female-gender river of Greece, flows towards the gulf of Kiparissia. Kardamili is a spectacularly beautiful seaside village located in Mani, the coast of Greece defined by travel connoisseurs as the New Côte d'Azur. Set dramatically against a backdrop of crystalline aqua-blue waters, majestic cypress trees, wild olive groves, verdant rolling hills and distant snowcapped mountains, it is one of the prettiest of villages that overlook the calm seas and splendid sunsets of the Messinian Gulf. Voidokilia beach, which is situated at 12 km from the city of Pylos, in the north of the Navarino bay, is not only one of the most beautiful beaches in Greece, but maybe also in the Mediterranean Sea. The sheltered bay is referred to in Homer's Odyssey and archaeologists believe it was used by King Nestor as a port in ancient times. Polilimnio Canyon is a magic place with waterfalls and lakes, beautiful wooden bridges that seems it is a hidden paradise.